We wish you all who read our modest blog Merry Christmas! The year coming to the end so and it is the best time to spend some time with family, take a rest and have a sensational New Year party. We wish you a healthy life and remarkable achivements in the 2017. 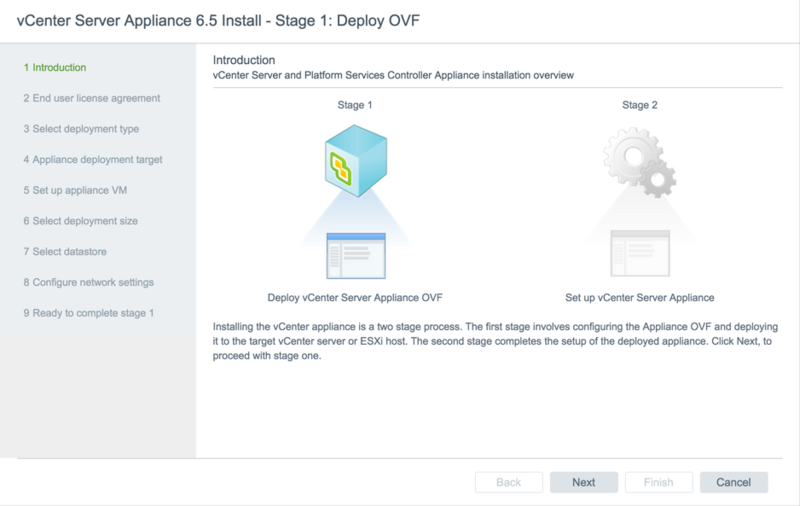 In vSphere 6.5 vCenter has a new native high availability solution that is available exclusively for the vCenter Server Appliance. 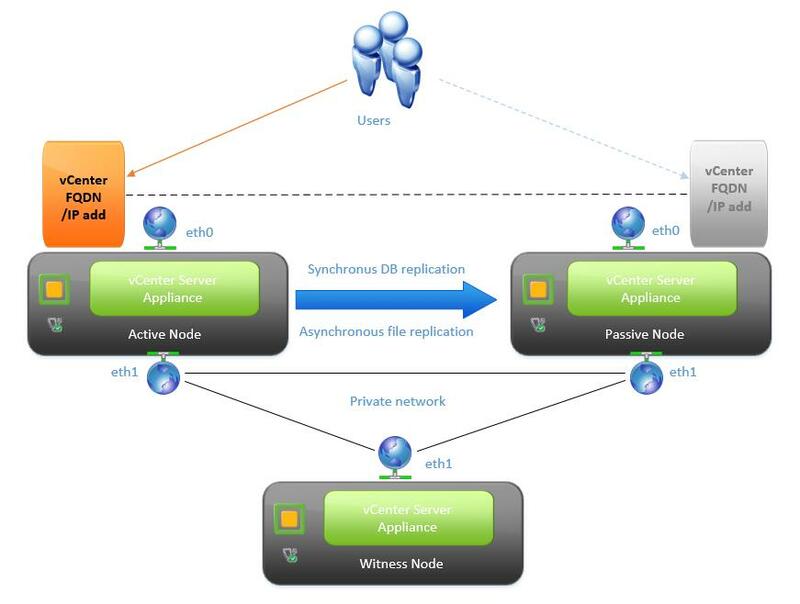 This solution consists of Active, Passive, and Witness nodes which are cloned from the existing vCenter Server. 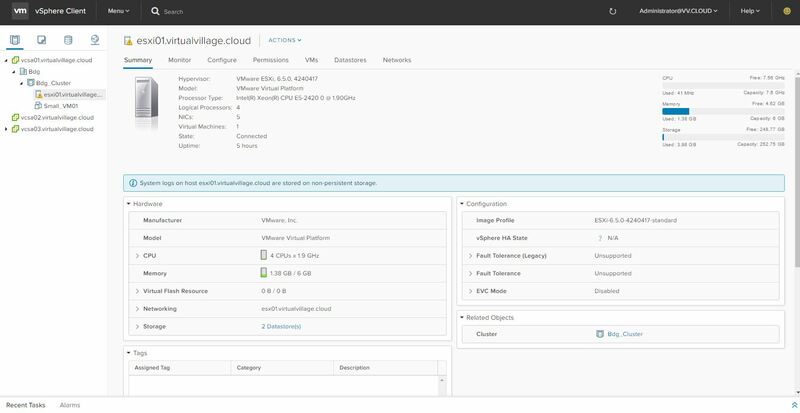 The vCenter HA cluster can be enabled, disabled, or destroyed at any time. There is also a maintenance mode so planned maintenance does not cause an unwanted failover. vCenter HA supports both an external PSC as well as an embedded PSC. Note, however, that in vSphere 6.5 at GA an embedded PSC cannot be used to replicate to any other PSC. Thus, if using an embedded PSC the vCenter Server cannot participate in Enhanced Linked Mode. vCenter HA has some basic network requirements. 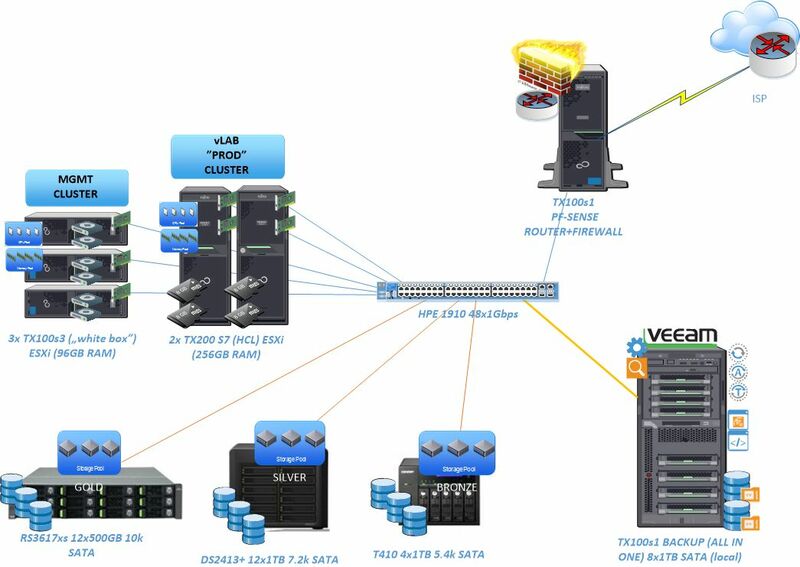 A vCenter HA network must be established be and separate from the currently used subnet of the primary network interface of the vCenter Server Appliance (eth0). If using the Basic workflow a new interface, eth1, will be added to the appliance automatically prior to the cloning process. eth1 will be attached to the vCenter HA private network. The port group connecting to this network may reside on either a VMware Virtual Standard Switch (VSS) or a VMware Virtual Distributed Switch (VDS). There are no specific TCP/IP requirements for the vCenter HA network other than latency within the prescribed 10 ms RTT. Layer 2 connectivity is not required. After making vCenter Server highly available we also need to consider the availability options for the Platform Services Controller. 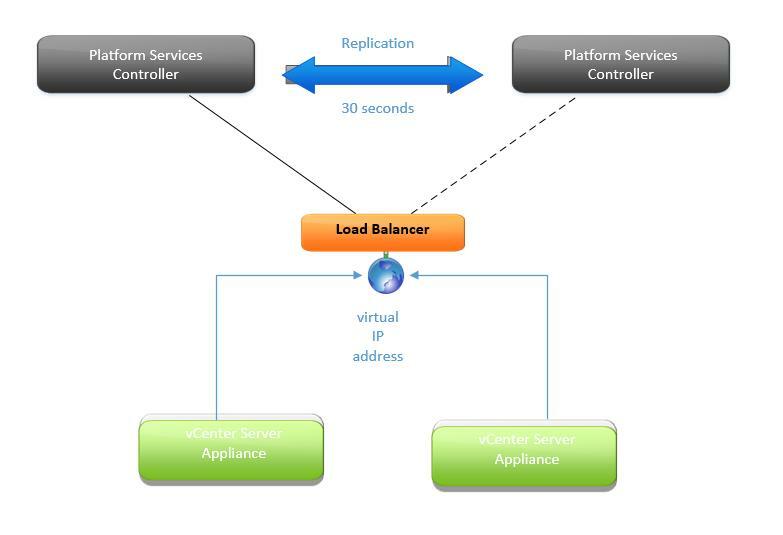 As you remember in vSphere 6.0 to provide HA for the PSC a supported load balancer was required –. If automated failover is not required we got option to manually repoint a vCenter Server between PSCs within an SSO site. In vSphere 6.5 VMware is providing PSC HA solution that doesn’t require a load balancer but there is some integration work to be completed with other products in the SDDC portfolio before native PSC HA can be enabled. Above screenshot to the right shows the new vCenter Database monitoring screen that provides some insight into the PostgreSQL database disk usage to help prevent crashes due to running out of space. There are also new default warnings presented in the vSphere Web Client to alert administrators when the database is getting close to running out of space and a graceful shutdown mechanism at 95% full to prevent database corruption. Customers can also configure syslog in this improved VAMI. 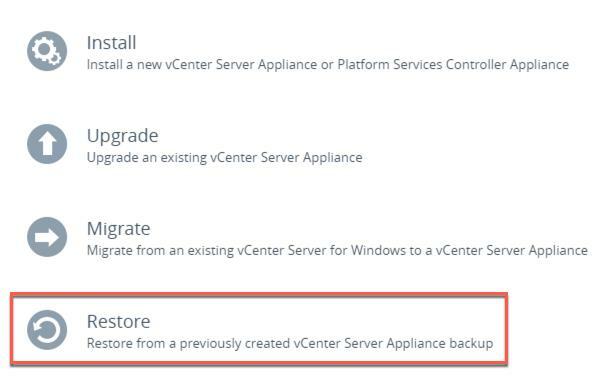 New in vCenter Server 6.5 is native backup and restore for the vCenter Server Appliance. 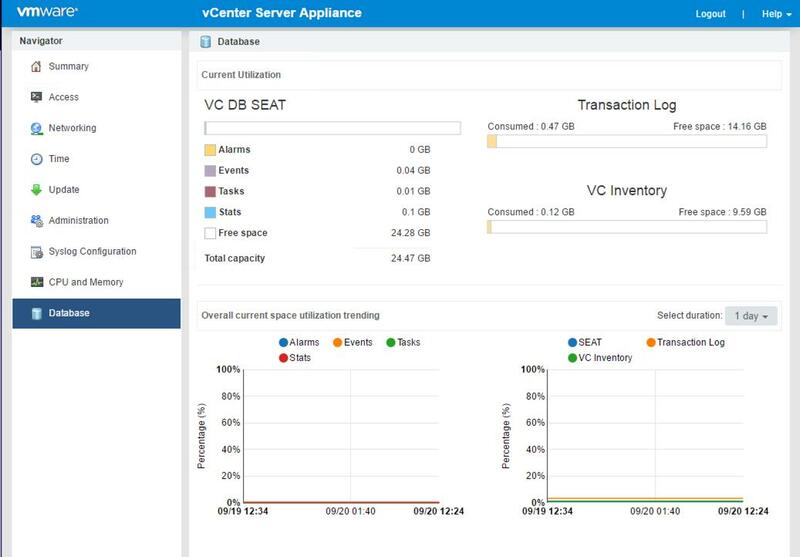 This new out-of-the-box functionality enables customers to backup vCenter Server and Platform Services Controller appliances directly from the VAMI or API. The backup consists of a set of files that will be streamed to a storage device of the customer’s choosing using SCP, HTTP(s), or FTP(s) protocols. 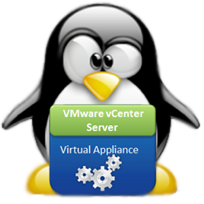 This backup fully supports vCenter Server Appliances with embedded and external Platform Services Controllers. The Restore workflow is launched from the same ISO from which the vCenter Server Appliance or PSC was originally deployed or upgraded. You can see from the lower screenshot that we have a new option to restore right from the deployment UI. 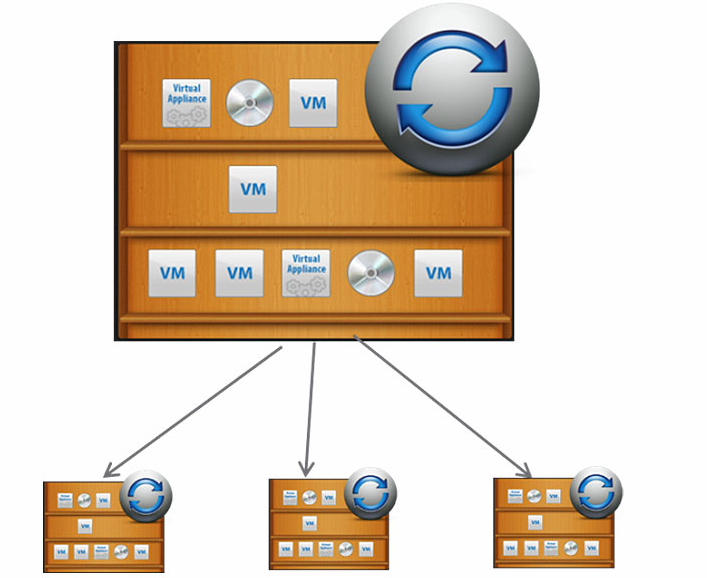 The restore process deploys a new appliance and then uses the desired network protocol to ingest the backup files. It is important to note that the vCenter Server UUID and all configuration settings will be retained. There is also an option to encrypt the backup files using symmetric key encryption. A simple checkbox and encrypted password is used to create the backup set and then that same password must be used to decrypt the backup set during a restore procedure. If the password is lost there is no way to recover those backup files as we do not store the password and do not use reversible encryption.